Recent Controversies: To STICH or Not to STICH? 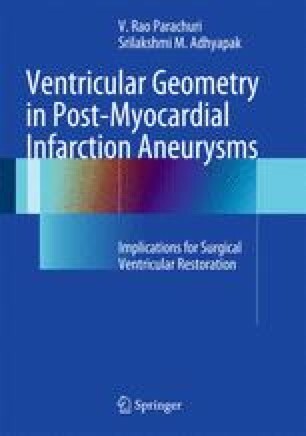 In the light of increasing use of surgical ventricular restoration in patients with advanced heart failure due to large transmural myocardial infarctions and left ventricular aneurysms, who are not eligible for cardiac transplantation, the need for guidelines to direct appropriate standardized therapy was felt. Extensive registry data did document improvements in quality of life with significant decreases in mortality. The surgical procedure underwent an evolutionary change with an expanding surgeon’s learning curve from the 1950s to now, documenting nearly 60 years of evolution. The technique of geometric repair was found to be superior to linear placation and excision of the aneurysm in various studies. However, meta-analysis reported favorable results following geometric repair in terms of increased ejection fraction and decreased mortality. But these analyses were plagued by the bias of different time frames of performance of the two surgical techniques, with linear repair being performed earlier and geometric repair later. Hence, these results were confounded by the surgeons’ learning curve. There was no randomized study involving surgical ventricular restoration, which was direly needed for guideline formation. In these patients with large left ventricular aneurysms and heart failure, it was necessary to know that if viable, ischemic myocardium was addressed by surgical revascularization and pharmacological therapy alone, there would be resultant decrease in left ventricular dimensions and improvements in function. The issue of whether these patients would require surgical ventricular restoration in addition needed to be addressed.